Posted on 16, April 2015 by EuropaWire PR Editors | This entry was posted in Art & Culture, Entertainment, Internet & Online, Media, News, Technology, United Kingdom and tagged ActionCam photos, Adobe Photoshop, app, Apple Aperture, apps, Grainy photos, Lightroom, mac, mac app store, Macphun, noise reduction, Noiseless, Noisy photos, Paul Muzok, photo, photographers, photography, photography software developer, RAW noise reduction technology, remove grain (noise). Bookmark the permalink. Noiseless is available in two versions, a standard version, sold exclusively through the Mac App Store (https://itunes.apple.com/us/app/noiseless/id969978718?ls=1&mt=12) and Pro version sold on Macphun’s website. Macphun Noiseless is an easy-to-use tool for photographers of all levels, which incorporates a number of presets for one-click noise reduction. Smart technology in Noiseless also automatically compensates to overcome challenges presented by today’s smartphones, action cams and entry-level DSLR’s. Advanced users can use the “Adjust Panel” of Noiseless for even greater control, including unique detail preservation and selective reduction tools. 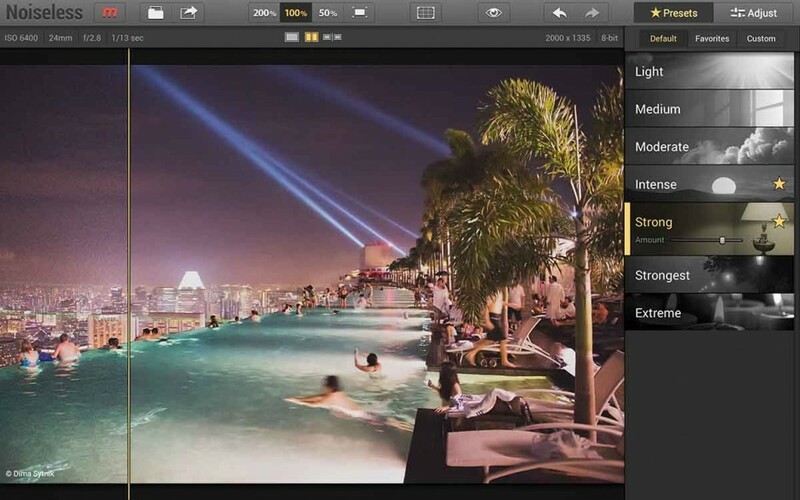 The Pro version adds a powerful, proprietary RAW noise reduction technology, support for additional color spaces, extra detail controls and the ability to run as a plug-in within Adobe Photoshop and Lightroom, and Apple Aperture. Noiseless and Noiseless Pro are available immediately, priced at €17.99 for the Standard version in the Mac App Store and €49.99 for the Pro version sold on www.macphun.com. Upgrades from Standard to Pro will be offered at €29.99.